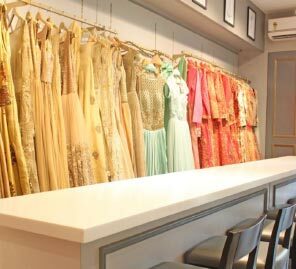 A series of capital ideas – let our trousseau experts tell you where the best bridal lehengas are, this shaadi season. 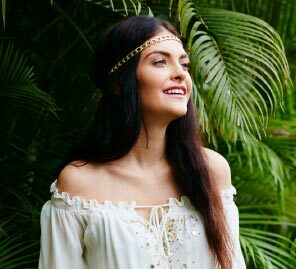 We understand wedding trousseau shopping can be confusing and tedious with so many options in style, fabric, and color. Your wedding lehenga has to be “the one” and it’s an emotional investment you make in your designer. Which is why, we want it to be perfect! And we know just the trick. 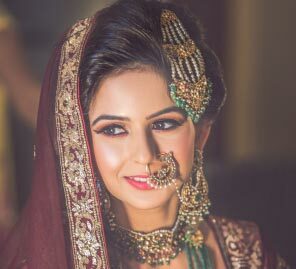 We put together a few tips and tricks to help you pick a bridal trousseau that suits your budget and your personality. Make notes or even better, just bookmark this page, for a comprehensive list of the best bridal lehengas in Delhi. Always dreamt of wearing a big-name designer to your wedding? Well, in Delhi you’re spoilt for choice. Browse through Autumn/Winter trends in high-end luxury lehengas from the ateliers of the best Indian bridal wear designers. If you’re looking for superb craftsmanship and Indian textiles, pick from Sabyasachi Mukherjee, Ritu Kumar or Anju Modi’s catalogs. A mix of the traditional with the modern in your bridal silhouette will come from the gorgeous trousseau collection by Varun Bahl, Suneet Varma, JJ Valaya, Tarun Tahiliani and Meera Muzaffar Ali. Their bespoke services are one of the best in the capital and they also offer exquisite jewellery options to complement your ensemble. If you’re rushed and want to sift through the best designer wedding lehengas without traipsing from shop to shop your best bet is a multi-designer store. You can compare cut, silhouette and prices in one sitting. WeddingSutra recommends Asmairaa, Carma, Aza and Ogaan. Carma curates a wide range of high-end lehengas from designers like Payal Singhal, Reynu Taandon and also showcases upcoming talent like Sonam and Paras Modi and Mrunalini Rao. Aza and Ogaan house gorgeous heirloom lehengas and standalone couture from Anamika Khanna and Vrisa. You’ll also find colorful lehengas and a new bridal collection by Ridhi Mehra. If you’re looking for more youthful color options, modern embroidery and detailing and diverse silhouettes, head to Asmairaa. Their pick of Delhi’s best designers like Astha Narang, Leenu Singh and Bhaavya Bhatnagar will leave you spellbound. Weddings are lavish affairs and while it is wonderful to have grand celebrations to begin your new life, you still need to be practical. WeddingSutra knows the best wedding lehenga is the one that looks gorgeous on you but suits your wallet as well. If you can look past the security of a big name designer and have faith in your own taste, stores like Frontier Raas, CTC Mall, Indu Fashions, Chandni Chowk, Gyans and Asiana Couture present beautiful creations in diverse Indian textiles like chanderi and brocade. Pakeezah Plaza, Chhabra 555, Om Prakash Jawahar, Zeenath Plaza, Meena Bazaar and Ushnak Mal Mool Chand are great places to shop for your other big events like the Mehndi and Sangeet. They not only offer excellent customization but will also give you value-adds and recommendations that suit your budget. If you’re a true blue Delhiite and love your bling and color, then look no further. The capital is teeming with designers who make gorgeous wedding lehengas that are inspired by the rich culture of Delhi. Our favorites have to be Rimple and Harpreet’s gorgeous zari work lehengas from the ‘Hiraeth’ collection. If you want to unleash your inner bohemian then Ridhi Mehra and Madsam Tinzin’s colorful lehengas in pastels are perfect. If you’d like a traditionally designed trousseau piece with an unmistakable edge, meet Phatphattitude by Shreya and Rajvi. Or you can opt for sophisticated palettes in peach and gold with minimalistic cutwork from Bhumika Grover’s designs. Tracing the path from Dubai to Delhi, Shaveta and Anuj present a modern approach to Indian wear with their opulent bridal couture label, Ghungat by Shaveta & Anuj . If you wish for the perfect princess look, their captivating range of lehengas, sarees, and Indian bridal clothing materialize a beauty you can only hope to come across in the best of fairy tales! Still looking for your dream lehenga? Find a little inspiration, in the WeddingSutra’s Lehenga Lookbook featuring talented couture wear real brides picked. Or pick some of our favorites at WeddingSutra On Location. If you still want to have some options, do check out our Real bride Real Style section as brides share their tidbits on their bridal lehengas.